Here are our Top Ten Camping Gadgets that we have seen so far in 2013 ! All new to us ! 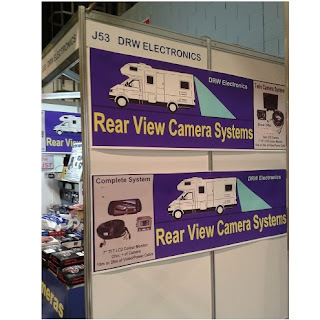 We spotted most of them at the Scottish Caravan, Motorhome and Holiday Home Show at the SECC in Glasgow. These camping shows are great places to spot new gadgets and buy accessories. If you enjoy camping then they are "must visit" retail therapy destinations !! If you dont already have this installed in your caravan or motorhome then this is a great idea ! - a rear view camera so you can find out what is behind you while maneouvring. At Number 2 in our Top 10 ! 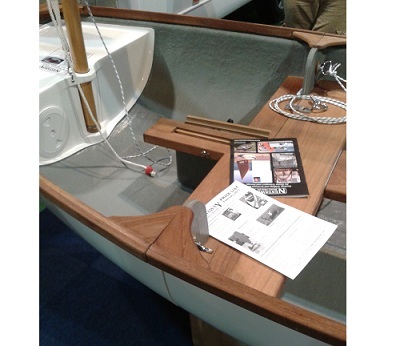 It folds up in two sections which are bolted together or can be unbolted and nested together for storage. We love the "Swallows and Amazons" style designs - very nice. Ideal if you are camping with toddlers and as they are foldable this makes it easier to find a space for them in those gaps when packing your tent into the car. These are produced by Fem and sold via various distributors. 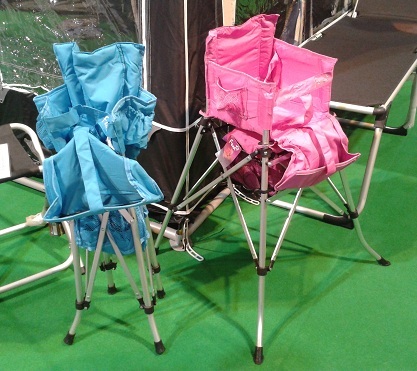 Actually I must also add here that if you are camping with toddlers then the Potette Portable travel potty which comes with disposable liners is ideal for toddlers when travelling or when camping and they are still at the toilet training stage. It can be purchased from numerous sources. Security Door Locks and Door Frame Locks. Ideal to prevent theft etc. One of these door frame locks can be used on a door which doesnt otherwise have locks on it. A section goes on each side of a door and the whole thing is then locked in place. This would not only be useful in camping but could be used on garden sheds etc. A thermal window shield for your motorhome - this will keep you warm in winter and cold in summer ! Ideal if travelling to the South of France etc. where the midday heat can be very strong. OK this one is not very exciting, but could prove to be very useful ! A whole range of tent pages - extra large ones, ones for groundsheets etc. 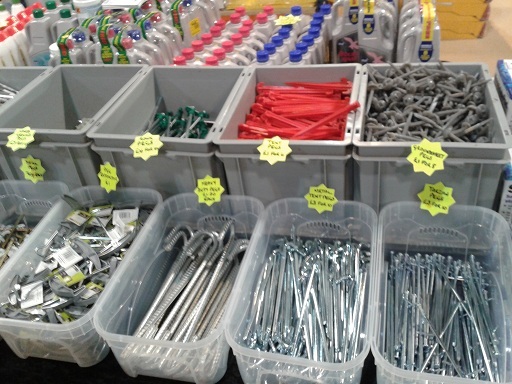 and also tent peg removers ! All of these can be useful if camping on different types of soils such as sandy soils etc and especially if you are close to the sea or in the mountains where you might expect more winds to be hitting your tent. There were all sorts of lovely designs of sets of melamine dishes - non breakable and stackable for easy storage. 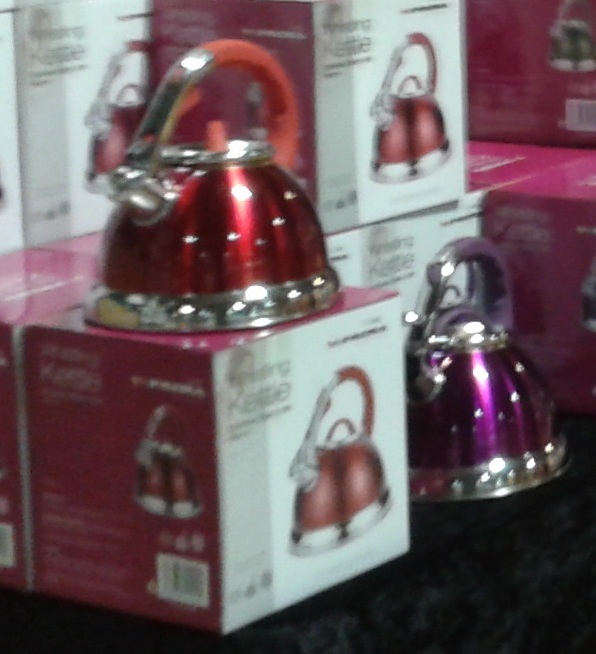 Gorgeous colourful whistling camping kettles in numerous colours ! At Number 9, PVC decking and fencing ! This is not exactly a gadget and is probably something more suited to caravans that are left permanently on their sites, however you could perhaps also use this to create an enclosure around your motorhome or caravan or have a PVC gate. There were a few manufacturers offering this and I would imagine they will appear at the various camping shows. There was also a version made from recycled materials if you want to be environmentally friendly ! Some suppliers we spotted included http://www.mapleplastics.co.uk/ and http://www.ecodeckingscotland.com . This is a fantastic idea. 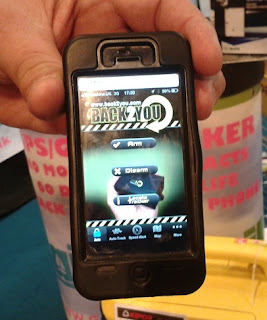 A simple tracker system from @Sail and Trail called Back2You. There is an app for your phone so you can find out where the device is. 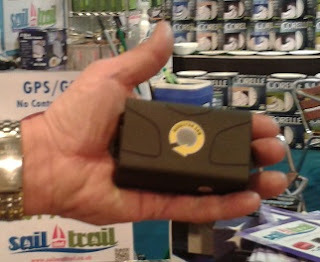 And the tracker that you can place somewhere in your caravan is the size of the palm of your hand. It can be either hard wired in or else can be powered by batteries. It can be set to alert you if it moves out of a certain area or even if it detects that the caravan is being moved at a speed greater than you select. 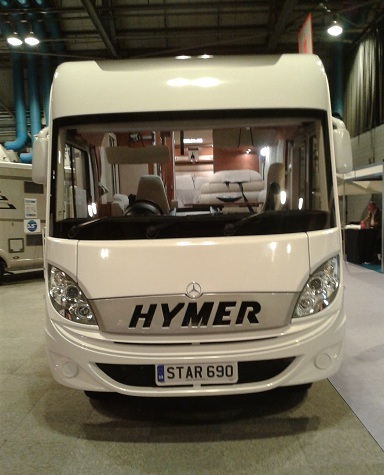 We went along to the 2013 Scottish Caravan, Motorhome & Holiday Home Show at the SECC in Glasgow. It is an excellent show which takes place annually in February. 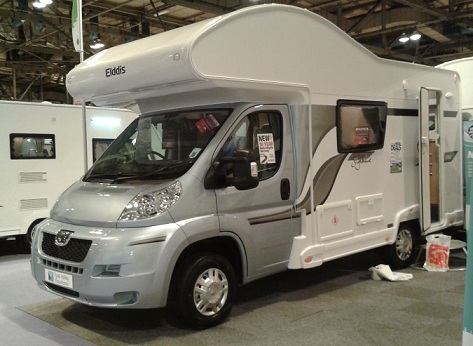 The large halls of the SECC exhibition space are filled with 100s of caravans, motorhomes, tents, holiday homes, trailer tents & accessories as well as all sorts of other exhibitors who would be of interest to campers and caravanners ! 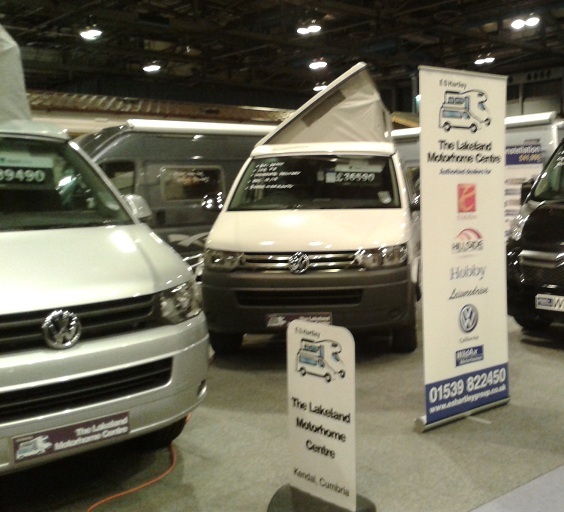 If you are thinking of buying a motorhome or caravan, for example, then these shows are a great chance to speak to some of the best companies from all over the UK. 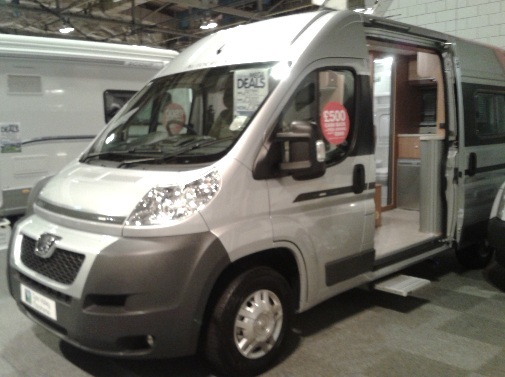 We had a look in a new model of caravan for this year, the Bailey Pegasus GT65, which is being launched as part of a year of celebrations for the Bailey company’s 65th anniversary. 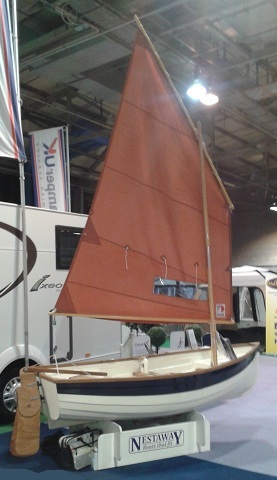 These caravans are lighter, with an Alu-Tech construction. 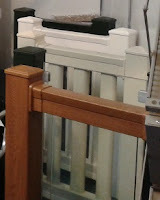 Here are two interior photographs from one of the Pegasus models being sold by Duncans. You can see the stylish curved locker doors and the skylight. We particularly liked the soft furnishings design in the model shown ! They have six sockets and a nice kitchen area. There are a variety of models of the Pegasus GT65, including the single axle models 2-berth Genoa with end washroom, two 4-berth versions and the Ancona 6-berth version. 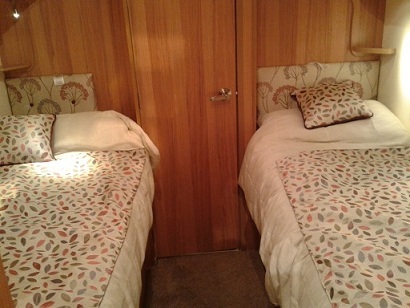 There is a also a twin axle Bologna 4-berth fixed double bed with end washroom. 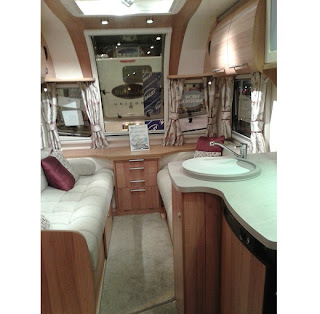 If you are thinking of buying a caravan there is lots to consider ! Caravans appear to be a slightly more economic option than a motorhome and they also have the flexibility that you can leave them at a campsite and use your car to travel around during the day. However, we then had a look around some motorhomes including this Eldiss 6 Berth motorhome. This 6 berth style has a double bed above the driver's cab in order to find room for everyone ! 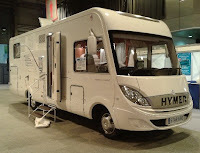 You will also see models such as this converted Peugeot motorhome shown to the left, which has a sliding door to allow for more use of space. 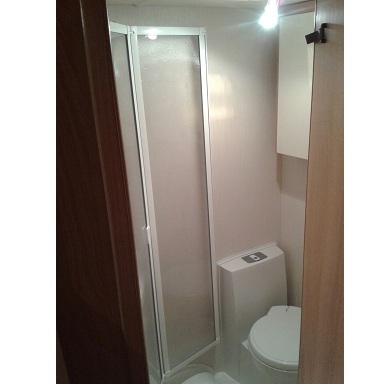 In various caravans and motorhomes, we spotted some innovative design features which make great use of space, such as a "wet room" style bathroom with a flexible door which allows the same room to be either used as a shower or small cloakroom style toilet with w.c. and wash hand basin (see photograph to the right). There was also another one where a door could be used as the door for the bedroom or the bathroom. And we liked the idea of an opening skylight in the shower rooms so there would be no condensation build up. 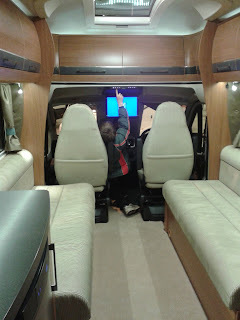 We then spotted a hi-tech Hymer motorhome which appeared to have a cockpit computer ! No doubt this is satellite navigation on a large scale ! Or is this just where they store the television ?! I know the Hymer motorhomes are very popular and certainly on campsites they always stand out to us as looking well designed. 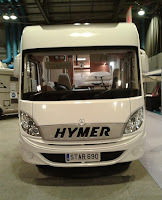 The one shown here is an example, we think, of a 30 foot motorhome, i.e. fabulously spacious but you might find them quite large to drive, particularly if you are thinking of driving down any small French country lanes ! But perhaps if you plan your route carefully then these would be a great option to give you loads of space when camping. And then there are the smaller van conversions, often with raised roofs, which probably would appeal more to couples rather than families, although no doubt you could have tented awnings coming out from them to add some more space. These VW vans shown here are from the Lakeland Motorhome Centre. These are a slightly more economic option than the larger motorhomes and may also prove to be more flexible to drive. 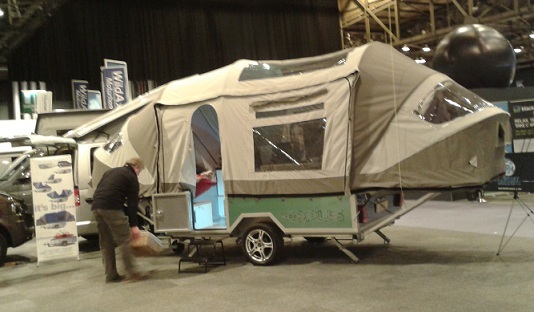 And we also spotted this excellent Opus trailer tent, also from Lakeland Motorhome Centre. These can be slightly easier to pull than a caravan apparently, and this model had a small kitchen area and room for two people to sleep at either end. You will also spot on the photograph that you can double your space by adding an awning out the side. So again, this is an idea to consider. The material this trailer tent is built with is stronger than normal tent fabric and draught proof as well.